We are still receiving photos of celebrations of the Immaculate Conception, which will be posted in a day or two, but we will also do a photopost of Gaudete Sunday Masses, featuring your rose-colored vestments, and any Rorate Masses celebrated at any point this Advent, in either Form of the Roman Rite. We will be very glad to include anything else from your Advent celebrations as well, such as Vespers, Masses of Our Lady of Guadalupe etc. Please send photos to: photopost@newliturgicalmovement.org for inclusion; be sure to include the name and location of the church, and any other information you consider relevant. Thanks as always - Evangelize though Beauty! 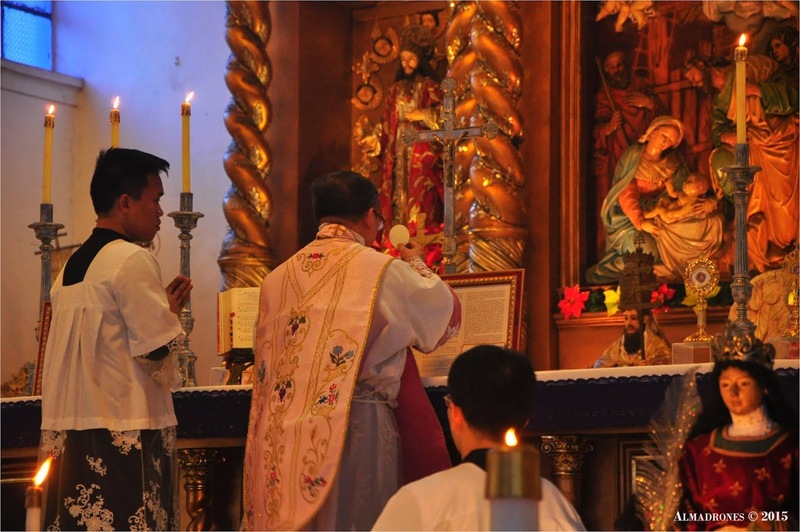 From last year’s Gaudete Sunday photopost, from the parish of the Holy Redeemer in the diocese of Cubao in the Philippine Islands.